Whether you're looking for the clean lines of a Quartz countertop, the beauty of recycled glass, a unique granite countertop or a nonporous surface like Corian, Affinity Kitchen & Bath will supply the perfect countertop to beautify your bathroom. We offer the best selection and the widest variety of countertops in Sarasota FL, including natural stones, engineered stones, solid surface, laminates and much more. If you don't see what you're looking for in the list below, please contact us and we'll make every effort to get it for you. Your bathroom is a place of serenity. It is large selling point for potential home buyers as well. 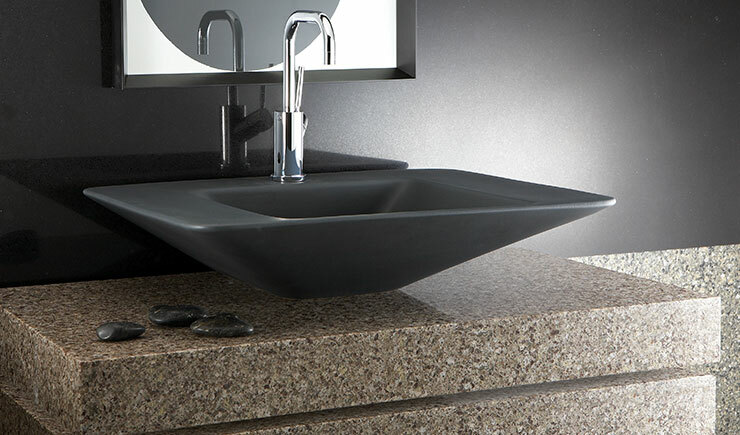 A new bathroom countertop can instantly update your home, adding market value, style and elegance. Likewise, dated or damaged countertops detract from the room's beauty, your peace of mind, and can decrease real estate worth. or visit our showroom at 1035 N. Lime Ave. to arrange your complimentary in-home consultation.